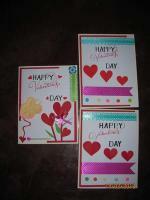 Barbara Phelps from Shenandoah, Iowa sent me these beautiful Happy Mother's Day cards. 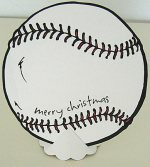 Here's the Happy Mothers Day Card specially created by Barb Phelps. Barbara skilfully used the tearing and layering technique for this lovely card. She also embellished this beautiful handmade card with satin ribbon, gold studs and a shoe charm. The colors combination is just perfect. Another lovely creation by Barbara from Iowa. 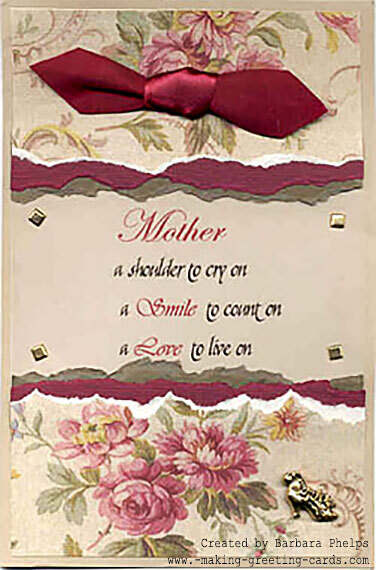 A Victorian collage card that is just so right for Happy Mothers Day. 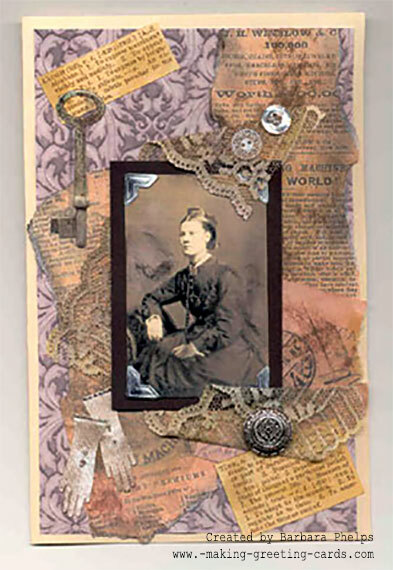 Barbara used an old black and white photograph as the focus point and added buttons, charms, lace, mini gloves, a cutout image of a key and other aged newsprints to create this beautiful handmade card. 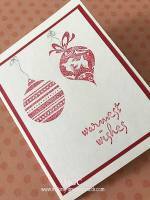 Cards 5 - Two interesting cards using finger printing art. Check it out! You sure want to try making them. 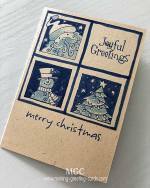 A whole section of homemade cards created and submitted by readers of this cardmaking website. Have a look and get inspired!